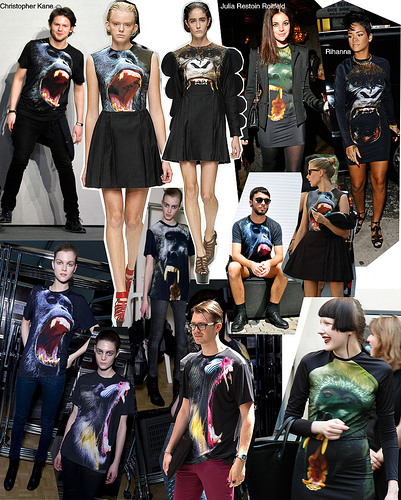 For SS09, Kane created a series of dresses and t-shirts with a gorilla or an alligator face printed on them. These quickly became a hit and had been seen worn by celebrities like Rihanna. 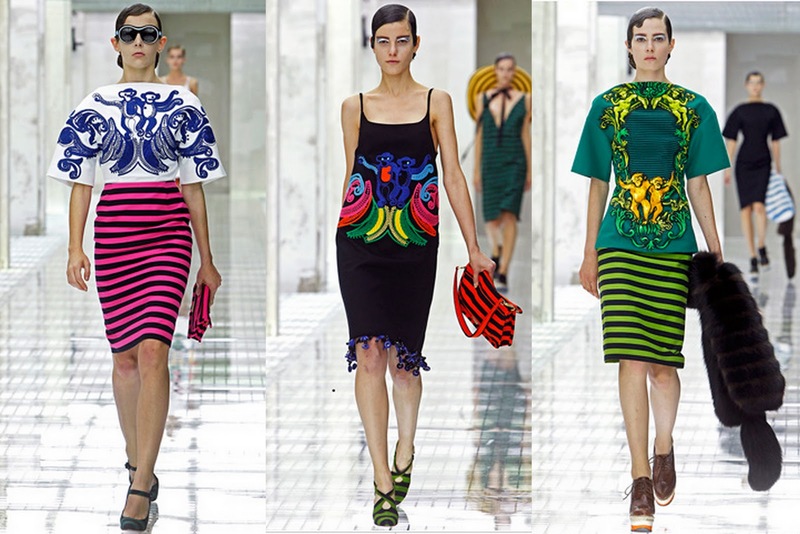 This trend of having a picture of an animal printed or embroidered on clothes continue this season with both Prada and Louis Vuitton featuring this in their Spring Summer 2011 collection. 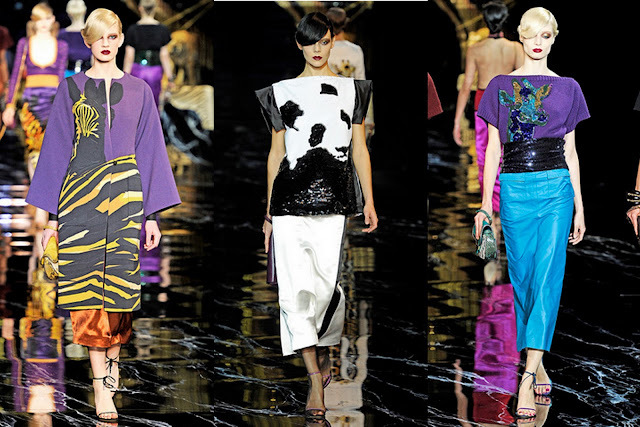 Their prints on these collections are not as bold as the one featured by Kane, but I think this way it is more appropriate for evening occasions. I find this trend to be very attractive. Fashion should be fun and this print makes fashion exactly that. It is a relief from clothes of previous seasons where everything was looking very serious.